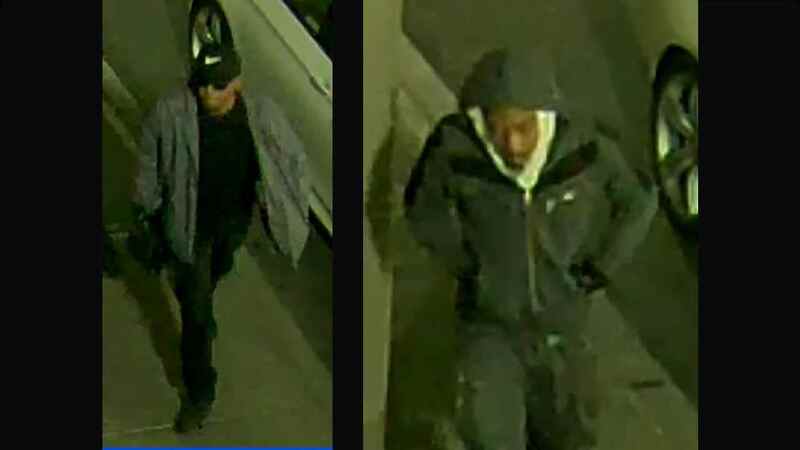 BRONX, New York (WABC) -- Police are looking for two men in connection with the robbery of a Bronx Sprint store over the weekend. Around 8 p.m. Sunday, at 200 Baychester Ave. (The Mall at Bay Plaza), two men went into the Sprint store and forced three employees to the rear of the store at gunpoint. They told the workers to open a safe that contained electronics. According to the New York City Police Department, the suspects took the merchandise, zip-tied the three employees then fled. More than 280 items, including Apple iPhone, iPad and smart watches, were taken. The first individual is a black man, about 35, 5 feet 10 inches, medium build; last seen wearing a gray sweat suit. The second is a Hispanic man, 25 to 30 years old, 5 feet 9 inches, thin build, with black sunglasses; last seen wearing a black baseball cap, a blue jacket, a black shirt, black sneakers and black pants.